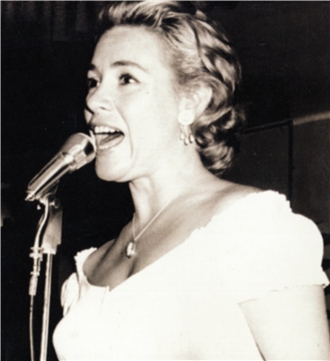 Virginia Lee (June 27, 1927 - January 6, 1990) was a South African singer of light music. She was especially famous for hits like Goodbye my love (her biggest hit), I'll Never Forget You and You're My Sweetheart. South Africa's Singing Sweetheart, The Girl with the Golden Voice, South Africa's Queen of Song, South Africa’s female Jim Reeves and South Africa's First Lady of Song. 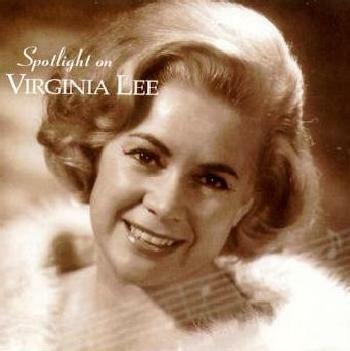 These were titles bestowed on Virginia Lee. 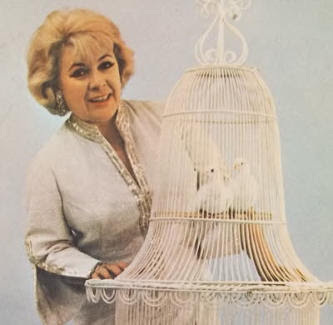 "Ginny" as she was affectionately known, was South Africa's best selling female recording artist of the late Fifties, Sixties and early Seventies. She was the first South African female vocalist to receive a gold disc, for the equivalent of a million sales for her hit "Goodbye My Love". She followed that up with a second gold disc only seven months later for "Darling It’s Wonderful". Virginia Lee was born on June 27, 1927 in Port Elizabeth and grew up there. She did her schooling at North End Grey, Port Elizabeth and the famous Victoria Girls High, Grahamstown. At school she took a keen interest in athletics and excelled in swimming and diving. She married Johnny Lee in 1948. In 1949, her only daughter, Peggy (later Koopman), was born. After nine years, she and Johnny divorced. In 1987 she married Lea Bergman. 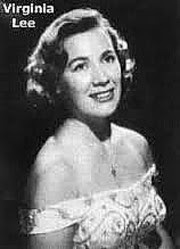 In 1957 she made her record debut under the guidance of Dan Hill. Several performances, tours, records and awards followed. She recorded a duet with Slim Whitman “She Taught Me How To Yodel”. She was the first female South African singer to be awarded a Gold Plate. 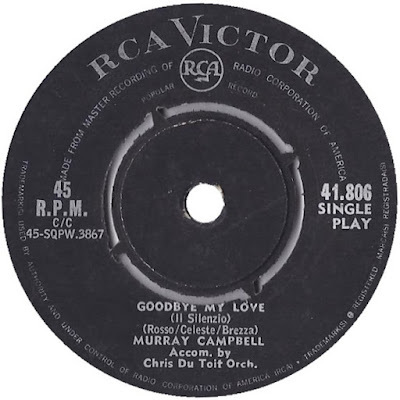 It was awarded to her on December 15, 1965 for the equivalent of one million sales for her hit Goodbye My Love. She was the first artist to get the distinction to release a locally produced album overseas. 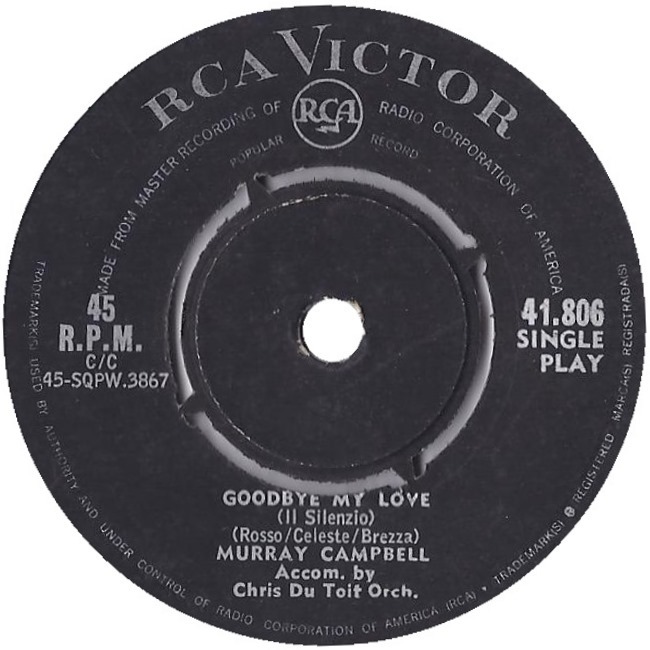 Goodbye My Love is released under the PYE label in England, Holland and Germany with a pre-order of 100 000 copies. In 1969, Virginia travelled through Zambia and was incredibly successful. Her song, Telephone To Glory, was a top hit). In 1970 she founded her own record company, Dominant Records. Hampered by years of cheap productions, she flew to London at her own expense for her first recording session at London's EMI Abbey Road studios. For this occasion she had a full orchestra. 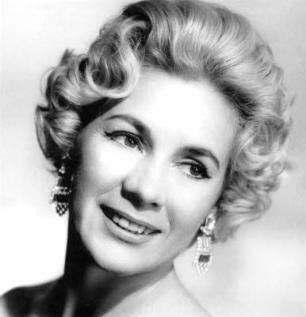 Virginia has travelled through Rhodesia several times with the "Virginia Lee Show" and was also a regular guest on television there. Her own record label, despite good quality and multiple entries on hit lists (Two White Duifies / A Brand New Day), did not go as well as hoped and became a financial burden. She dissolved the label, signed a contract with EMI in 1972 and undertook a national tour with Nico Carstens. In 1974 she played in an English film Cry me a Teardrop with Wena Naude. By the end of her career, Virginia could sing in over 16 languages. 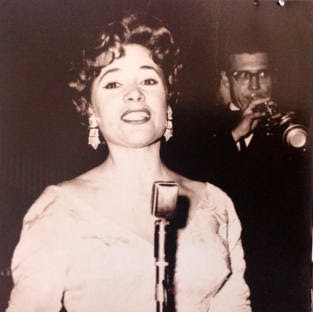 She crossed artists like Caterina Valente and Connie Francis, who each sang in 11 languages.In 1987, Virginia was diagnosed breast cancer, but it was too late for treatment. She then withdrew from society and on January 7, 1990 died in Johannesburg at the age of 63 years. Virginia holds the South African music industry's record for the South African artist with the most recorded songs. She had over 800 songs recorded. Including 45 LPs , 75 'singles', and even an old 78 rpm record on the Welcome label called “Tien Duisend Myl” (Ten Thousand Miles). Please note tracks 1-14 are taken from her 1969 Gallo album “My Everything” Tracks 15 -25 taken from various albums via YouTube.